Welcome the groom & his family with a blast of fireworks!! Give them the most memorable welcome ever… after all its their day. A grand welcome in its true spirit. Greetings from Aegis Event !!!!!!!!!!!!!!!! We are a leading event management company based in Delhi. Fire Work, Special Effect, Specific Fire Work Design in Baarat Hast Milap, New year Eve, Birthday Party, Anniversary, Corpoate Sports Event, etc. SMT Spares and ESD consumables in chennai, Recognized for making the colors of photographic prints become more vibrant with its high gloss finish, face mounted acrylic offers a higher-end look compared to other common interior display materials such as GatorBoard and Sintra. 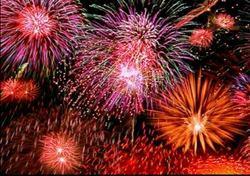 As the renowned service provider, we are engaged in offering the best quality Firework ( atishbazi ) Service. We have years of experience in offering these services in various celebrating and festive parties to our clients. Owing to their effectiveness, attractive firework display and eco-friendly, our offered services are highly praised by our clients across the nation. Dynamic Fireworks have many years experience and expertise to help you create "The perfect end to your special day" with a stunning firework display that is guaranteed to amaze and delight your guests and send you off in style. Supported by a team of expert professionals, we have been able to offer multicolored Mixed Firework Services that bursts open into an umbrella of colorful embers in the sky. Made of optimum quality raw material, this firework is used in marriages, reception, stage events and other joyous occasions.